Forums PTR Feedback Anyone here who thinks tracer needs a rework or nerf? Anyone here who thinks tracer needs a rework or nerf? She ruins every game in diamond, you can't hit her and she 1 clips you in a second. She is really ruining the game to the point I just don't want to play anymore. Just looking for anyone else who thinks the same. I think the they should consider her not getting her health back when she recalls, this would force her to look for a health pack or a healer. Getting her full 150 health back makes her too overpowered. They could also maybe slow down her aim to be more like orissa or mercy. This way you can't use aim assists with her as easily. This would also be an indirect nerf to her ult charge, because she also gets Pulse Bomb too quickly. I've noticed that issue with Diamond ranked Tracers the last few times I played Deathmatch. Diamond Tracers are scary, man. I'm guessing they just don't have the team play to be in Masters+, but it seems like raw mechanical / dueling skill is enough to get into Diamond as Tracer on its own. The problem with Tracer, though, isn't Tracer. The problem is that they continually nerf other heroes specifically so they are vulnerable to Tracer, who they seem to balance everyone else around. See Jeff's comments on nerfing Bastion right after the Bastion rework. The decision was largely based on Jeff's personal experience playing 35% Ironclad Bastion against a Tracer that he felt outskilled him and deserved to win, but couldn't. It's not that Tracer's kit is overpowered. It's that they seem to have a design philosophy toward balance that involves ensuring that every other hero on the roster is vulnerable to a well-played Tracer. Torbjorn is the closest thing we have to a hard counter to Tracer due to his armor and turret, but even Torb's turret cannot deter a Tracer who has recall available. I'm completely certain that the damage and health values of that turret are carefully calculated to make sure that Tracer can kill it solo. What we need isn't Tracer nerfs. What we need are more ways to punish Tracer when the other heroes actually manage to catch her, and lower cooldowns on abilities like Roadhog's hook that can slow her down. That hook used to be 6 seconds, and back then Tracer wasn't quite as much of a nuisance because of it. What we need is more stun ability heroes, so that McCree isn't the only hero that can stop Tracer and Genji. I feel like she’s pretty balanced at the moment. But if I do I have to nerf one thing about her, it’s probably slightly decreasing the speed of how fast ultimate charges. I 100% agree with this. 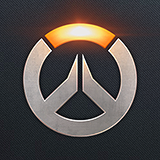 I feel that Blizzard is kind of bias with certain heros (Mercy, Reinhardt, and Tracer, being the poster-childs to their respective role: Healing, Tanking, and Damaging). I'll add this too to your point: Wasn't Widowmaker's old 150 damage bodyshot reduced partially because Tracer mains were complaining about getting 1-hit with them? I have a hard time right now trying to learn this character. No matter how I move or use her abilities, the other team always knows where I am and it does not take much to kill her with that low HP level of hers. Note: I'm saying I'm a bad Tracer player, not that tracer herself is bad. What I know is support, so DPS is out of the question for me. You are not in diamond and above, this is where she is a problem. She isn't a problem at all below diamond, maybe a bit in high platinum but thats it. ??? Tracer doesn't have any aim assists aside from console and that's a whole different issue. Tracer also doesn't get her full health back when using Recall. She only recovers the amount of health that she had 3 seconds ago alongside what position she was at that time. It's also on a 12 second cooldown which forces her to play more passively unless you really want to risk it for the kill. Just please no. Tracer is fine. Mei's freeze from ultimate and primary fire now disables movement abilities.